After reading this we’re quietly confident you’ll wanna go to Wanaka. So we have some fantastic earlybird Wanaka travel deals on offer through Mountainwatch Travel. Check them out here. We have 7 night packages starting from as low as $585. Lake Wanaka (pronounced Wonaka) is nestled at the foot of Mount Aspiring National Park, the perfect staging ground to experience not only the best skiing on the South Island of New Zealand but some of the best skiing in New Zealand as a whole. 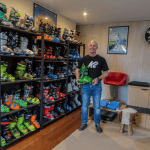 Visitors have their pick of two world-class resorts in Cardrona and Treble Cone respectively and can even dabble in a little cross-country skiing at purpose-built Snow Farm. Not only that, but the Wanaka region, despite being smaller than Queenstown, actually has the largest area of skiable terrain to offer. 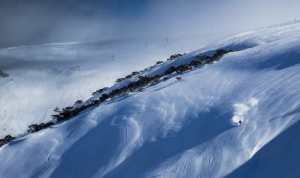 In particular, it is known for having the largest heli-ski terrain in the Southern Hemisphere. Cardrona considers itself the “peoples’ mountain”, and for good reason. It comes complete with the Southern Hemisphere’s most extensive terrain park facilities – four parks and two half pipes, tailored kids skiing areas and wide groomers on which to lay the planks over. With $20 million set to be invested into the resort over the next three years – following the addition of the Mcdougall’s Express ‘Chondola’ last year, New Zealand’s only gondola cabin-style lift, which increased lift capacity by 150% – there’s never been a better time to visit. It also boasts some of the most reliable snow in the region, thanks to its high elevation topping out at 1860m and southerly aspect, favourable to the region. In light of this, Cardrona is forecast to open roughly a week before Treble Cone on the 16th of June. Skill Level – 20% Beginner / 45% Intermediate / 25% Advanced. Skiing Area – 345 Hectares. Opening Day – 16 June 2018. 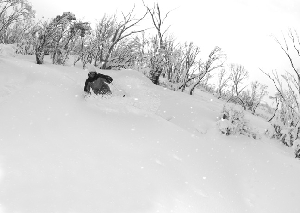 Lift Opening Hours – 9.00am – 4.00pm. Treble Cone is a serious contender for offering the most beautiful views of any ski resort in the world. A 35 minute drive from the epicentre of Wanaka, guests are offered spectacular vistas of the surrounding Southern Alps and Lake Wanaka beneath, reminiscent of a Norwegian fjord. The resorts scale is evident in it offering the most vertical in all of the Southern Lakes at 700m, its longest run a positively leg destroying 4km’s. 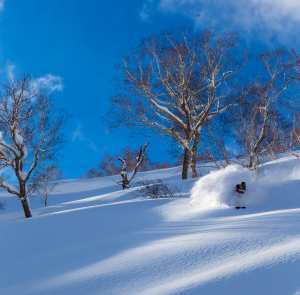 The resort can also boast the title of largest South Island ski and snowboard resort, its 550ha tenure spread across two large basins. The resultant geography offering some of the most revered terrain in New Zealand, loaded with steep chutes and gullies, open bowls and natural half pipes, making it particularly suited for the intermediate to expert riders. So whatever your off-piste preference, TC is sure to have something for you. Don’t let this entirely dissuade any beginner skiers or snowboarders out there though, Treble Cone offers FREE lift access all season long to its ‘Nice n’ Easy’ surface lift, located alongside the comforts of the Base Area. Treble Cone is slated to open to the public on the 28th of June, this year. Skill Level – 10% Beginner / 45% Intermediate / 45% Advanced. 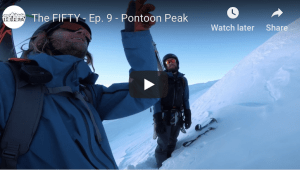 Skiing Area – 550 Hectares. Opening Day – 28 June 2018. Snow Farm is unique in this list of Wanaka ski resorts in that it is not designed for the kind of skiing you’re likely here to read about, that being conventional downhill skiing. Instead, the Snow Farm is New Zealand’s only Nordic Ski area. In Winter it offers over 55 km worth of classic cross-country skiing and ski skating tracks. Not to mention snowshoeing, fat biking, tobogganing, dog sledding and conventional ski touring options. As mentioned, Wanaka entertains the largest heli-ski terrain in all of the Southern Hemisphere. In keeping with the general theme of the place, it’s also arguably some of the most spectacular, spanning the ranges in and around Mt Aspiring National Park. Getting across the ditch isn’t especially difficult these days, and getting to Wanaka is best done by flying into Queenstown and then taking the 1-hour long drive, either by car or coach. Getting from Wanaka to any of the aforementioned resorts involves a scenic 30-40 minute drive around one of the most picturesque lakes in the world. There exists extensive public transport services to get skiers and boarders up the hill also. Wanaka sounds pretty amazing right? So if you want to get over there yourself then now is the the time to book to secure earlybird deals for the 2019 season. Check out our Wanaka Mountainwatch Travel packages here.